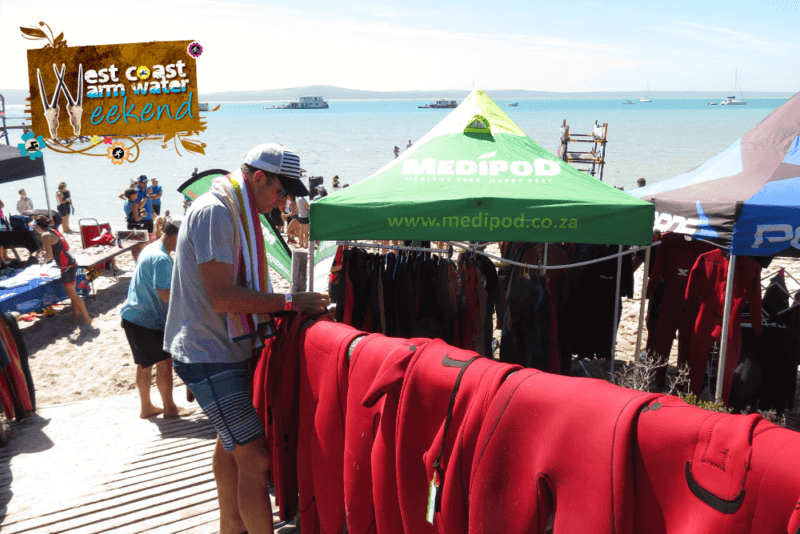 We were delighted to be part of the triathlon Westcoast Warmwater Weekend where we washed over 300 Wetsuits in FungiSolve. Why athletes don’t wash their wetsuits. Most athletes don’t consider washing their wetsuits, they usually rinse them in fresh water after a swim in the sea to get rid of salt and sand. Is this really enough to keep it clean? What happens if your wetsuits starts to smell? What happens if you get a fungal infection such as Candida or Jock Itch? Why did we want to show these athletes the importance of washing their wetsuits? FungiSolve is a laundry detergent that decontaminates in one wash, getting rid of bacteria that cause fungal infections. The bad odour in your wetsuit is from a micro-organism that can’t be washed out in hot water and lives in fibres and fabrics. FungiSolve will get rid of the bad odour instantly! Taking good care of your wetsuit will also make it last longer! FungiSolve is as gentle on fabrics as distilled water! Rid bad odours from: cycling shorts, vests, tri-suits, socks, costumes and towels. Just add 50 ml of FungiSolve into the washing machine dispenser and run the load. Rid bad odours and fungal spores from: Running shoes, gloves and swimming fins. Add 100ml of FungiSolve into a full bucket, soak for 20 minutes and/or scrub shoes, rinse and dry in the sun. Rid bad odours and fungal spores from your helmet and cycle/leather shoes. Add 20 ml of FungiSolve into a 2 litre jug, pour into the helmet or shoe, use a sponge to wash the helmet inside and out with the solution, leave it to stand for 20 minutes and rinse the shoe or helmet with fresh water and dry in the sun. Add 150ml of FungiSolve into a 15 litre tub. Soak your wetsuit in the solution, make sure you get the solution into the wetsuit. Leave your wetsuit in the FungiSolve solution for 15 min, rinse with fresh water and dry. Happy sporting without odour or irritants!